The martial arts classroom is a place of participation, of engagement. It happens both with ourselves and with other people – the training makes that possible. Not to alienate anyone, but if your main way of connecting to another person is through being a professional sports fan – a sidelines observer – it’s pretty limited. By way of contrast, one of the things I think that we can discover through Jiu-Jitsu training, especially with this model we’re using, is that there’s a way to have a deep, nuanced connection with people. We need not feel like our vulnerability, our nervousness or insecurity, is impossible to deal with. Like someone’s got an edge up on you and you’ve got to maintain all your barriers and all your fronts and keep our little castle safe. We’re bringing this to light as an experiment for the serious practitioners. If the only way you can relate to others is competitively or through someone else’s accomplishments, it’s hard to make lasting and meaningful connections. It can be a little shallow. It’s in vogue now to denigrate any alternatives to Jiu-Jitsu’s “sports culture”. I read on Facebook about the “cultifying of Jiu-Jitsu”, complete with the ten warning signs of being in a cult. We’ve said many times in class at Brooklyn Brazilian Jiu-Jitsu that yes, you’re in a cult. Actually, it’s more than a cult…it’s a “culture”. All the internet watchdog groups – who know what’s best for you – are right! But let me tell you – we don’t want your first born child and we don’t serve Kool-Aid. We do, on the other hand, believe in some guiding principles and ethics that have roots in Jiu-Jitsu’s history and which are coming back around even now. Rickson Gracie did an interview back in 2012 talking about how MMA has really turned things south for the martial arts, that it’s really just an entrance into barbarism. We’re familiar with that notion – it’s a sentiment we’ve been discussing here for ten years now. It’s lovely to see some of the Jiu-Jitsu world is starting to see that, running unchecked, the “sport” of MMA produces some very inhuman elements. The martial art aspect of it, however, and the connective portion of it, is actually beautiful. And that as martial artists we have to support that strand, tiny though it may be, so all is not lost. That thread – that the martial arts teaches principles beneficial to people’s lives – runs throughout these schools. It’s why we can say there is a culture that’s alive and well. The “cult/ure” in this organization is one of cooperation rather than competition, of supporting rather than undercutting one another in each other’s lives, in each other’s training. And let’s not forget having some protocol that doesn’t make this place a circus, where normal people who have lives with jobs and families and other obligations can actually survive and thrive. That’s the culture we belong to. It isn’t a Jiu-Jitsu Jonestown. But in a lot of schools it is a Jiu-Jitsu Fight Club. To the students working in this model: take a look – you are doing well. You’re actually showing up to class. You’re learning and practicing and growing each day. You’re supporting one another. Lots of you are over forty. Most of you have families and jobs. The majority of you view this experience as a critical component of a healthy holistic human experience…and you don’t have a blown out knee or a shoulder impingement. You’re not dealing with antagonistic or competitive egos running rampant. It lets you eliminate all the unnecessary distractions from your progress. 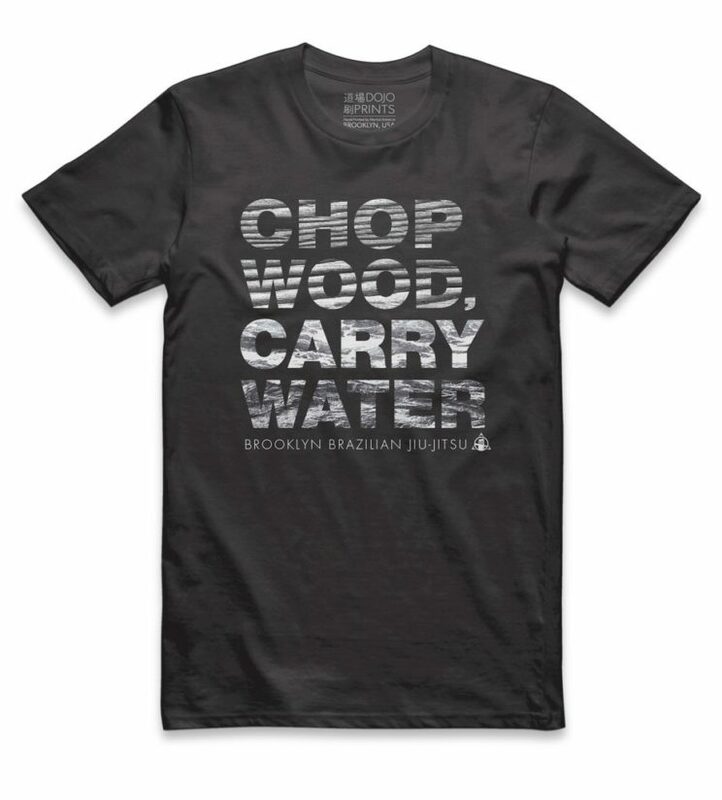 You’re doing good Jiu-Jitsu, and it’s sustainable. The benefits are all around you. They have nothing to do with manipulation or hidden agendas. We prize this work because it adds an element of humanity, of community, to our lives. The work now is to support the culture in order that others may thrive in it and we may continue to grow. 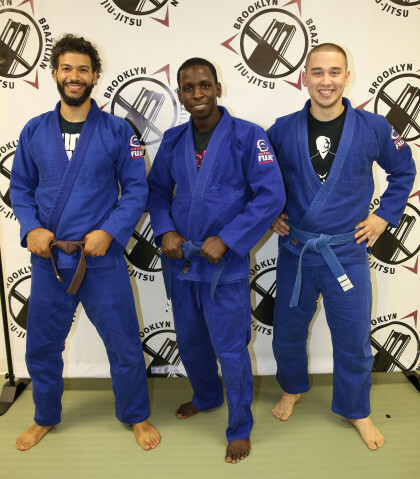 For more about the larger project of cooperative Jiu-Jitsu and martial arts training, visit the Brooklyn Brazilian Jiu-Jitsu (Brooklyn BJJ) website here . our lives”. I couldn’t agree more-and what could be better than that?